“Suzanne Juyol was born in Paris on 1 January, 1920. Her incredible vocal gifts were shortly discovered, and she joined the Paris Conservatoire. Later she also studied vocal interpretation with Claire Croiza. But her most decisive encounter during her first years at the Conservatoire, was with French pianist and composer Victor Serventi who just entered at that time, the class of compositions lead by Henri Büsser. Pupil of Lazare Lévy, Serventi had won, a couple of years before, the Rome competition for the composition of a cantata: LA BELLE ET LA BETE, and was just about to leave for the Villa Medicis in Rome. The declaration of War interrupted his project, and he remained in Paris. Serventi and Juyol shortly got married; he was appointed principal coach for the vocal studies in October 1943, and in the meantime Suzanne (who had made a brilliant audition for the Paris Opéra), received a contract and made a successful debut in March 1942. She was at that time, one of the most interesting artists of her generation, having not only a tall and beautiful figure, but also a most incredible huge voice, with a large range, equally at ease in the mezzo-soprano and in the soprano repertoire. The Paris Opéra immediately noticed her incredible gift, which would shortly develop into the most outstanding dramatic French sopranos of the 50's. For her debut on 14 March, 1942, Juyol sang Margared in LE ROI D'YS, a most demanding role for a beginner. In 1943, she sang Waltraute in a series of WALKÜRE performances, and participated in the creations of both ANTIGONE by Honegger, where she performed the part of a Choryphée opposite Eliette Schenneberg in the title role, and the one of Egk's opera PEER GYNT where she portrayed the part of the Black Bird, under the baton of the composer himself. Through the end of the war, Juyol appeared on the stage of the Grand Opéra in both secondary and leading roles, including Fauré's PÉNÉLOPE (1943), Marguerite in LA DAMNATION DE FAUST (1944), and on 21 November, 1945, Ariane in Dukas' ARIANE ET BARBE-BLEUE with Bouvier as the Nurse and under the direction of Fourestier. In the first post-war years, Suzanne Juyol started a busy career outside of the Paris Opéra. In 1946, she made her debut at the Salle Garnier in Monte-Carlo, a place where she would be called to appear many times in the next decade. Her debut there took place on 2 February, 1946 as Carmen, opposite José Luccioni and Maria Branèze. She then sang two performances of Gunsbourg's Opera LES DAMES GALANTES DE BRANTOMES with Véron-Grunwald, Maria Branèze, Kriff, and Claverie. After a successful debut at the Opéra-Comique as Charlotte in WERTHER, she opened the 1946-47 season of the Lyon Opera as Margared in LE ROI D'YS, opposite Monique Florence as Rozenn. In January 1947, she was at the Nice Opéra for a successful debut as Marguerite in LA DAMNATION DE FAUST, with Burdino as Faust. Back in Paris, the 1947-1948 season established Juyol as one of the best dramatic sopranos. After a revival of FAUST, she sang Tosca a the Opéra-Comique in 1947 with Giuseppe Traverso and John Brownlee, and her first Brünnhilde at the Opéra in January 1948, proving that after Ariane or Pénélope, she was the only French soprano able to undertake the roles left vacant by Lubin. 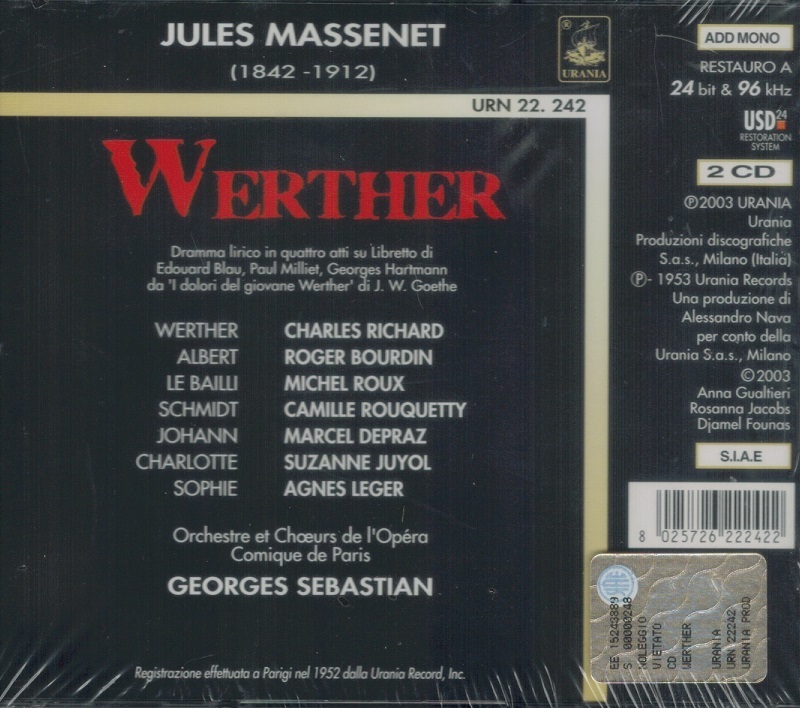 She was back again in Monte-Carlo for a series of performances including WERTHER and FAUST (both with Luccioni in the title part), TOSCA and WALKÜRE, with Lilly Leblanc as Sieglinde, Fronval and Claverie. She repeated her Brünnhilde at l’Opéra all season, with alternative casts featuring Denise Varenne and Adine Yosif as Siegline, Ines Chabal and Hélène Bouvier as Fricka, Verdière and Fronval as Siegmund, Claverie and Froumenty, and then she was at the Marseille Opéra for a complete RING under the baton of Georges Sébastian, with Mireille Sabatier, Léonce Mortini and Roger Hieronimus. After her last GÖTTERDÄMMERUNG performance, she travelled directly to Barcelona, where she joined the company of the Paris Opéra on tour, for the local première of LE ROI D'YS at the Liceo. She sang there three performances of Lalo's work with Géori Boué, Georges Noré, and Bianco, under the direction of Louis Fourestier. She appeared in Monte-Carlo for her fourth season at the Salle Garnier, as Kundry with Fronval, Tosca with Filacuridi, and she sang her first Isolde in French and with an entire French cast: Fronval, Claverie, Autran, Fredda Betti as Brangäne, under the baton of Henri Tomasi. 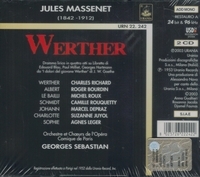 After a short stay in Nizza (WERTHER with Noré), Juyol was ready to appear as Isolde at the Paris Opéra on 28 August, 1949. After two WALKÜRE performances marking her return for the season, Juyol sang Isolde with a cast which included Elsa Cavelti, Charles Fronval, Beckmans, Froumenty, and Georges Sébastian at the helm. She repeated the role 6 more times, Bouvier taking over the role of Brangäne, and Faniard singing Tristan. Suzanne Juyol was back at the Paris Opéra for more performances of TRISTAN and WALKÜRE, until the end of the season where she had the opportunity, not only to undertake Brünnhilde in SIEGFRIED, but also to share the opera with Max Lorenz in the title role. Lorenz, much impressed by his young partner, immediately suggested her name in Berlin where she then appeared at the Berlin Städische Oper for guest performances of WALKÜRE and TRISTAN. She was by then, the first French singer to appear in Germany, in a Wagner Opera, after WW II. 1953 saw Juyol on still more French stages. After Monte-Carlo, where she had Oncina as her partner in WERTHER, she appeared in Toulouse for LA DAMANATION DE FAUST conducted by Georges Prêtre, then, in Nice for LA DAMANATION DE FAUST and WALKÜRE performances where she had Régine Crespin at her side, singing then her very first Sieglinde. Juyol bowed in Marseille as Charlotte in WERTHER, opposite Raoul Jobin, and Margared in LE ROI D'YS, with Lyne Cumia, Fouché and Valère Blouse. Juyol was in Toulouse for the opening of the 1952-53 season with three successful performances of LOHENGRIN, with Crespin and Erick Sjoeberg, followed by some WERTHER performances with Huybrock, always under the baton of Prêtre. 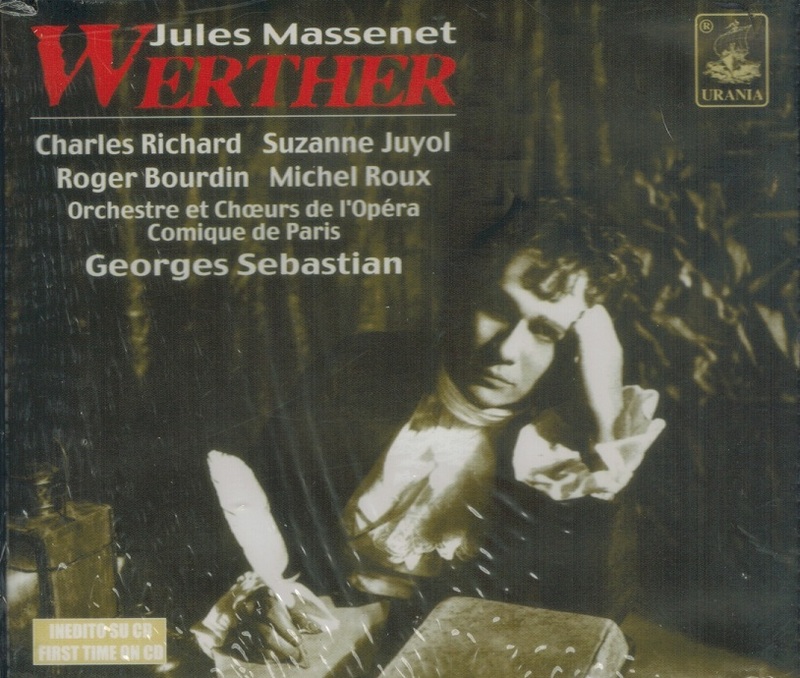 In the meantime, she was Santuzza for the Opéra-Comique with Luccioni and Jeantet, and the Paris Opéra for LOHENGRIN performances, with Denise Varenne and Raoul Jobin, then with Berthe Monmart and Verdière. At that time, Maurice Lehmann was preparing with Henri Büsser, a new revised version of Rameau's Opera-ballet LES INDES GALANTES. The luxury of the sets and costumes, the choreography by Lifart and above all, the fact that the different ‘Entrées’ with its multiple casts, permitted the casting of the most famous singers of the company in a complete success. Juyol was Phani, in the second Entrance: ‘Le Turc Généreux’, and repeated the part at the Paris Opéra. On 12 December, she participated in the gala concert given for the 150th Anniversary of Berlioz's death, singing Dido in an abridged version of LES TROYENS A CARTHAGE under the direction of Sébastian. During the whole year 1954, her only Wagner role at Garnier was Ortrud in a revival of LOHENGRIN, with Berthe Monmart and Raoul Jobin alternating with Verdière. The outstanding success she had as Ortrud brought other LOHENGRIN performances in her schedule during the 1955 season at the Paris Opéra where she shared her success with the same colleagues, Monmart, Verdière or Jobin in the title role, as well as in Nizza with Crespin and Jobin, or in Orange, always with Monmart, Jobin, Bianco and Cluytens. In 1956 Juyol started appearing at the Opéra-Comique as Santuzza. She appeared in the creation of SAMPIERO CORSO by Henri Tomasi, having its premiere at the Grand Théâtre de Bordeaux on 6 May, 1956, during the Bordeaux Festival, in a staging by Roger Lalande and under the baton of the composer himself. Régine Crespin, Kean Neate and Pierre Giovannetti completing the cast. This was one of her last important commitments, still appearing in LOHENGRIN during the autumn 1956, before her last creation in Paris: Clairon in the French version of CAPRICCIO, given and repeated at the Opéra-Comique in 1957 in a production designed by Erté and staged by Rudolf Hartmann.